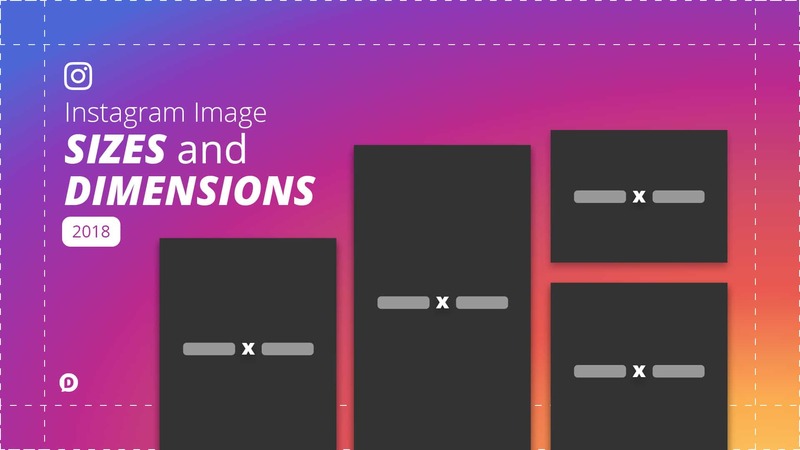 What are all the Instagram photo sizes and dimensions you need to know for 2019? How about Instagram video resolution and size ratios? Sit back and relax, because this post has it all covered. First of all, I am personally excited about this development. In the past, I have felt constrained by the limitations of the standard square option and this change will affect the way I personally use Instagram. Bonus: Are you in a hurry? Just grab my downloadable Instagram Image Templates at the bottom of this page. These 3 image orientations allow for greater versatility in creating all of your images. That is always a good thing, but it also means that you have to understand the constraints that are given. Don’t worry though. Like I said, I went to work picking everything apart so you don’t have to. Keep reading to get the scoop. Related: Get all the templates you need with my Facebook Image Sizes: Everything You Need to Know article. It should be noted though that Instagram stores a version as large as 1080×1080 pixels. However, even on the largest of screens it seems they still display a maximum of 600×600. This is another test… just move along here folks. Vertical images (or portrait) will display at a maximum of 480×600 (or 960×1200 for retina display). However it looks like Instagram is storing the photos at a maximum of 1080×1350 on its servers. However, my highest recommendation is to take a portrait 9:16 ratio approach (a.k.a. landscape 16:9 rotated 90 degrees). In pixels that would mean 1080×1920. As long as you give enough whitespace around the edges, you should be fine. The people who like new things will embrace these new dimensions and create a more diverse stream of visual content. Things will definitely be a bit more interesting. If I were to bet, I would say that much like Pinterest we will see the taller images (portrait) getting much more love than the square or (especially) landscape photos. The reason for this is that Instagram is still a mobile network, by a long shot. Being a mobile dominated network this means that people’s habit of holding their phone in portrait will give the portrait images/videos a much better viewing experience. They will naturally cover more screen real estate garnering more attention. As a small aside, Instagram’s Boomerang circa 2015 has been an added app feature to pair alongside Instagram (although not limited to Instagram) for a one-second burst containing five photos. It has some competitors like Google Photos but there are some unique characteristics to the app. It has a minimalist style, which makes using the app so easy. It is also really easy to transfer it to other social media platforms, and as a result it makes sharing TO Instagram, Facebook, etc. also super simple. All that introduction to say, do the changes to size and dimension apply to boomerang? Yes, yes they do. Once you take the burst you can transfer it to Instagram. In Instagram you can apply the same size and dimension attributes that you would to a photo to the burst. In regard to Boomerang, I think, again, it sheds light on how Instagram is always trying to innovate and keep up with the Joneses. They keep re-establishing themselves and, so far, it seem their solidified foundation is one that is immovable. Ultimately it is a wonderful thing that Instagram is switching things up by providing more options for users. I think it is a change for the better and reveals a lot about how Instagram listens to its users. They not only listen but deliver. Because you read all the way to the end of the post (Woohoo! 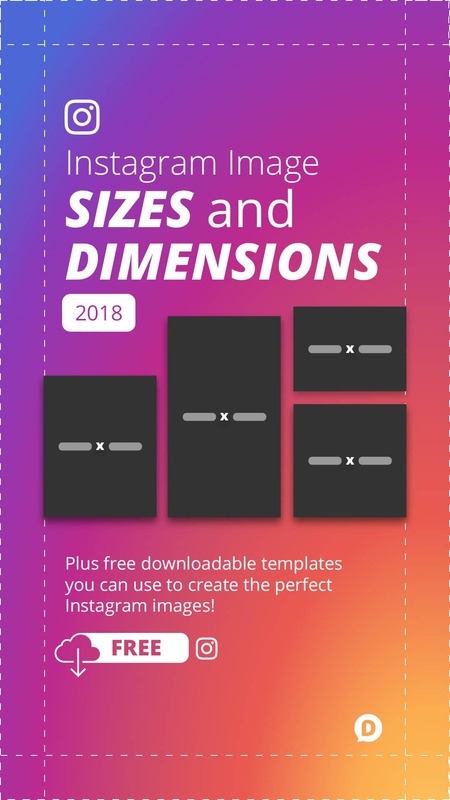 ), I wanted to thank you (for real) by giving you this easy reference infographic of all the Instagram sizes. Use it as a guide for when you’re creating images for Instagram from outside of Instagram so you can pull them in without worrying about cropping. Simply copy the code below and paste it into your website to share it with your readers. Lastly, just in case you missed it, don’t forget to download my free templates before you leave. They’ll give you easy access to the latest dimensions and blueprints to create great imagery. So what are your thoughts about Instagram breaking out of the box? You can leave a comment by clicking here. Hi, Todd. I analyze every single pixel, and double-check inside Instagram’s own code to get these dimensions. While you can certainly upload a file of any size, Instagram will crop it to their predetermined dimensions. If you send me a link to one of your images, I can easily show you that it’s been cropped to fit Instagrams defined landscape parameters. Great info! Can you have two images in one post with the 4:5 ratio (I want to use one image and cut it in two parts so that you scroll back and forth between the left and right side og the image within the post)? Or do you have to make it squares in order to have multiple iamges (2) in one post? Thanks a lot in advance! Hi, Susanne! At this point in time, you can only have multiple square images. I’ve used that tactic before and I love it! I like the social media aspect and functionality of instagram and the fact that its a very popular platform, but is it only me who thinks that the imaging functionality on this app are shockingly bad considering this is 2019? I mean no ability to display images full size or full screen zoom. As a retired professional photographer I truly hate the functionality that instagram provides around the image display. even Flickr did better back in the day. I have to wonder why they are limiting its image display abilities – is this some twisted strategic play? I completely understand your frustration. I think it was more of a simplicity aspect than anything else. Their engineers trying to balance visual + social in a way that allowed you to scroll endlessly (keeping you in the app longer). I think some limitation is good–forces creativity to go further. I couldn’t find where to add my email to receive the download link. I don’t think its loading properly on this page. Could you email me the templates, please!? Hi, Mayara! There may have been some sort of browser error. Please try loading the page again (perhaps in a different browser?). Hi Dustin, Thanks for the great post! I’m having the same problem getting hold of the Instagram Template. It looks like the download button (with email input) isn’t loading. I’ve tried in Chrome / Internet explorer and Firefox. The facebook like works like a dream 🙂 Please can you take a peek for Instagram setup? Many thanks buddy. It’s working in every browser for me. Very strange. All my forms are created the same way (Ninja Forms) so I can’t think of what else to troubleshoot. ? Hey, I’m new around here, the download form where I have to enter the email is not showing up, the Facebook Templates are working fine and already got them. Could you fix this? Thank you. Hi, Alex. The download link will be sent via email. The idea to make them was both very helpful/thoughtful of you!! Where you said “landscape”, you probably meant to say “portrait”. That means the aspect ratio will also change from 16:9 to 9:16. So here’s a wildly frustrating situation that I have been searching for answers for. I among many have spent hours and hours testing and testing trying to figure out the magic way to get instagram to maintain some quality when uploading videos. I have an account i use to test the images/videos before posting to my main account. I finally found the video format/aspect ratio that looked best on my tester account, then went and uploaded to my main account and it was blurry, all pixelated. The literal same file that i had uploaded to my tester account on the same phone, same IP address/WIFI connection. Trying to get specific with video resolution seems to be a waste of time. Hi, Karen. Since I’m not a video expert, I can’t really speak about this with any certainty. Instagram hasn’t given any public guidelines for video uploads that I’m aware of. Thank you for sharing, very informative! Hello Dustin! thank you very much for providing this great information! do you have also any information regarding the video Codec / Compression the works best for Instagram? Hi, Ines! I do not have that information. I’m not a video guy, but if you find something, do let me know. Usually, an Mp4 codec works just fine, I haven’t needed any others when creating content for social media. no need to do any fancy codecs. 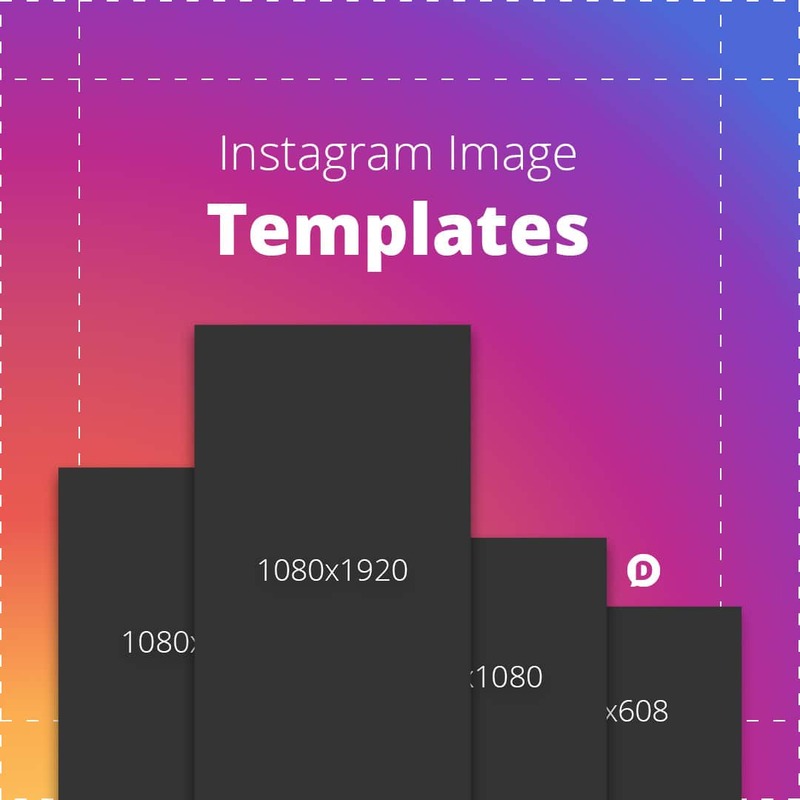 Thanks for this helpful article about the new instagram picture ratios. I thought you’d be happy to know. I can not find a way to enlarge a photo anymore, while trying to crop it- i.e. I want to enlarge a photo to just show a close up of one flower and leave out the others in the shot. I am looking to buy and image for a post, a portrait. There are 2 types of websizes on the wesite: 500pixels and 1000pixels. What I get from your article is that I need to go with the picture 1000pixels? will the 500pixels be too unclear? You will want to get the higher pixels. The 500px image will look lower quality (pixelated) and Instagram is all about high quality imagery. Yep, there was a typo in the original infographic. Updated. Thanks for this guide but I am trying to learn more about image sizes and ratios. I am very confused about the ratios you listed. For example, everywhere else I read that the new portrait crop size is 4:5 but you have it listed as 5:4. I even double checked with an aspect ratio calculator and when I plug in 1080(Width) by height (1920) I get 4:5 as the result. Do you write your ratios as WxL or LxW? Also I crop in light room and it only lets me select 4×5 as the image crop. Is this the same as a 4:5 ratio? Ah, I see that you’re probably referring to the graphic where it notes 5:4. That’s a typo; it should be 4:5 for portrait (width:height). Sorry about that–and thanks for pointing it out. IMO, ratios are useless, however, because what you really need to know is the exact pixel dimensions. I wanna make 3 instagram posts (grid posts) can u say what size is that? All the sizes are listed in the blog post above. Maybe I’m not understanding your question properly? Can you elaborate on the vertical video resolution? 481×599.484 ?? That’s still a landscape resolution. Did you mean 600×481? And can you tell us exactly what the stories resolution needs to be. Instagram official is 1080×1920 but if you produce a video for motion graphics in an editor and upload that size, the video is scaled up and much of the design is cropped out. I’m so glad you brought this up, Jason. It’s something I’m still confused about having looked at the source code on Instagram. However, I think your best bet is to create the 1080×1920 video and then just know not to put anything too close to the top/bottom that you don’t want to be cropped. Anddddddd no mention of Bitrate whatsoever…. Anyone know the maximum bitrate Instagram supports?! You mean for Live video? Okay, so i’ve tried formatting my landscape images to both the 1080 x 608 and 1080 x 566 sizes, but when posted to Instagram, they become severely cropped in width. What am i missing here? Thank you. I’d have to see what you’re talking about to get a good picture of what you mean. Also, the dimensions I mentioned in the above article are 1080×607… not sure why you’re attempting 1080×566. Are you posting these directly to Instagram or using some sort of app/software to auto post for you? What design software are you using to crop/save images before uploading to Instagram? 1080 x 566 is what was being given by another website concerning image sizing. Checking back on your website, under the banner “Instaguide Image Guide, The 4 Sizes You Should Know since you’re no longer limited to just squares”, you specify landscape images at 1080 x 608, but let’s not quibble over 1px. Because I am using a laptop, i cannot post images, so I am passing them along to a friend who is posting for me and i assume she is using her phone to do that. For image editing, I am using paint-dot-net as my main editor and Faststoneimageview for more simple editting. For now, i am posting my landscape images as square images by making them 1080px wide adding to the “canvas size” to make it 1080px in height. My instagram blog is https://www.instagram.com/shawnmccairne/ so you can see what I am doing image-wise. the last 2 images were my first to submit that were cropped when instagram posted them. THANK YOU for your concern and your quick response. Okay … I’ve left my email for two diff’rent inboxes and all I get is an unchanging box that says ‘processing.’ What’supwit’dat? I’ve also tried leaving my email for the ‘Insiders’ list … same song, same dance. Again, what’supwit’dat? I have also attempted to complete these requests using diff’rent browsers. Same song, no dance. Seriously, is there a reason it has to be this difficult … ? And I’m sure there’s plenty more things that could contribute to a failing or untimely processing of a submission form. The bit I still can’t understand is how to I make my landscape and portrait images appear as landscape and portrait in my grid? I don’t like them cropped to squares in grid view. Do I need to make each of them into a custom graphic in a square shape before uploading? That seems really time consuming! Is there maybe a plugin or another app that does it for me? Hi Tiffany! That’s a great question. Unfortunately, Instagram will not allow images in the grid to be anything other than square thumbnails. Thanks for your response. I know I need to use the square format but a lot of feeds appear to be vertical and horizontal images – ie, the whole image can be seen but there is white space around it so it is still technically a square and the grid is still a grid, there’s just a lot of white space showing. I think it’s probably because people use something like Canva to create a square shape with the whole image placed in the middle. I’m just not finding it very easy and thought there must be a quick answer. Very useful article Dustin, but it didn’t address the reason I came looking for some information. I’ve been trying to post my first series of three images (a panorama) But every time I try to uploaded the upload failed. Normally Instagram has no problem downsizing my images but my thought was that it didn’t like having a series of three images to do that with. I eventually Used another app to downsize each image to 607 x 607 and that finally worked. Have you heard of a size restriction for the Instagram carrousel feature? Thanks for your help. Oh, interesting. I haven’t tried that or heard anything like that before, Peter. Glad you got it worked out. I’ll see if I can give that a try sometime next week to see if I have the same problem. Thanks for sharing this! Great info! Easy reference for sizes we all need to know. I have a video that I want to upload that 64MB & 720 Res. Every time i upload the video, Instagram keeps decreasing the quality from the original. How Can I upload the same original quality video to Instagram without it being altered? Hey there, why when I download a photo from Instagram Web, it only has 600×600 as default? Is there a way to download them in a higher resolution? Hmm… I think the only way to do that would be to dig into the source code and find the image link for the 1080 version. I know exactly what you mean Ivano. Pretty annoying isn’t it? So any thoughts on dpi? Great question Jayme! As with all things digital, 72 is the standard. Only reason you would do higher dpi is for printed materials. All devices is 72 dpi max, more dpi’s is only for printing! Thats not true. Phones and tablets nowadays have higher resolutions than 72 dpi. Yes, phone screens, laptops, monitors, and tablets ALL have higher than 72dpi these days. But websites aren’t going to serve up different resolutions based on the device. There has to be a set standard, otherwise web design/development would be exponentially complicated. This is why 72dpi for digital is still the only necessary resolution. On Instagram, after weeks of running smoothly when posting multi images on a single post at the 5:4 ratio (1200-960), my new posts are now only shown as a square. I’m posting identically as in the past. Feels like a glitch. Thoughts? Ha…have since figured it out. After clicking for the 5:4 ratio, then adding the other pix, I needed to “finger-squeeze” or swipe smaller to resize, then it snapped into place. Done. Prior to today, I didn’t ever need to do that. And so it goes. Thx for the reply. Ah… maybe I need to try that! Awesome content Dustin, thanks for sharing. There seems to be a problem with the templates’ download button, it’s not working for me at least. Do you mind sending them to the email i’m writing down here? Hi Gabriel! You’ll need to submit the form in order to get the download links. If it’s not submitting, maybe try a different browser? Hi Riccardo! Thanks for the compliments. The social sharing plugin I use is one I co-founded called, Social Warfare. Great read!! Thank you so much, this was very helpful!! I have a question. What is the process of saving, at what size, for when I’m taking portrait pictures on my Nikon, uploading to Lightroom to edit, and exporting from there? I upload these pics for my blog and also Instagram. What should I be saving them as, dimension wise in pixels, when I want to upload to my blog vs when I want to upload to instagram, without having to crop any part of the photo, or without having to use the white border on instagram, essentially making the picture smaller? So, WHY then would you use 1080×1080 for the square (which I am now using), if all that can be displayed is 600×600? Is this simply for reposting elsewhere? You say that even on the biggest screens all that will be displayed is 600 x 600. It’s logical that for a hand-held device that all that will be seen is the smaller size. Well, at first I had the same reasoning–it should just be 600×600. But then I took into account retina displays (like iPhones) and realized that the 600×600 would be a much lower quality. And since I’m creating all my images in a 1080 height, it just makes my job easier when I’m creating multiple versions of the same image for different networks. Well if these images are for your website, only you’ll be able to decide what the right size is. If you’re website is built to be properly mobile responsive (as it should be) then it doesn’t matter how big the images are as they’ll just automatically adjust to fit the container you place them in. You do want to optimize them as much as possible though to ensure fast load times. Instagram upsized to 1080 squares on July 6. The landscape can go as small as 1.91 to 1, which I figure at 1080 x 566. Portrait to 1080 x 1350. Yea, I can see in the source code that they will store a 1080×1080 version but the actual display (at least from web) is 600×600 even on my 21″ iMac. Are you seeing an actual 1080×1080 displayed somewhere? If so, it would be great to know what size/resolution screen you’re seeing this on. I don’t have a link but have read that they have no plans to support 1080 on desktop. But it should be 640 on desktop if you’re posting that size or larger. That was the size before they upgraded to 1080. This screenshot is taken on a 15″ MacBook Pro with retina display (meaning the pixel density is twice that of a normal computer screen). Even on the highest resolution screen the photo is shown at 600×600 with the html showing a larger version of 1080×1080. No 640 in sight.